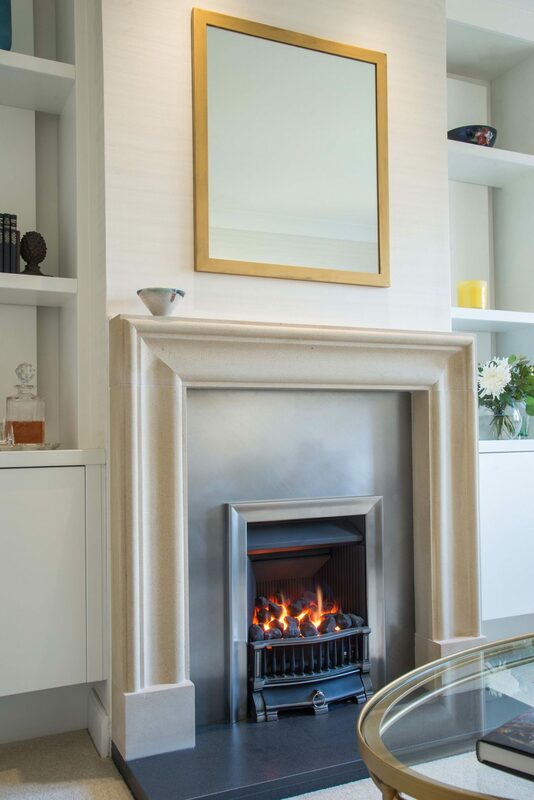 The living room in this new build town house has been redesigned with bespoke cabinetry and luxury decor. 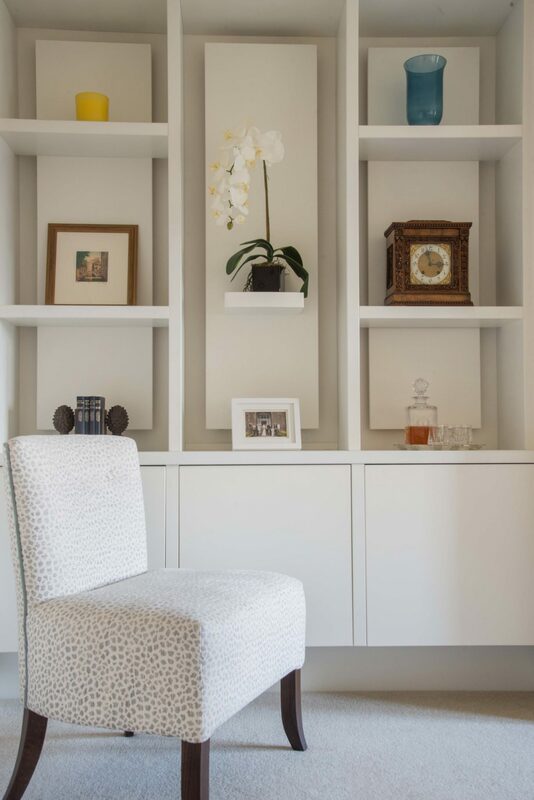 Flat fronted push front lower storage was raised from the floor to give the illusion of more space. 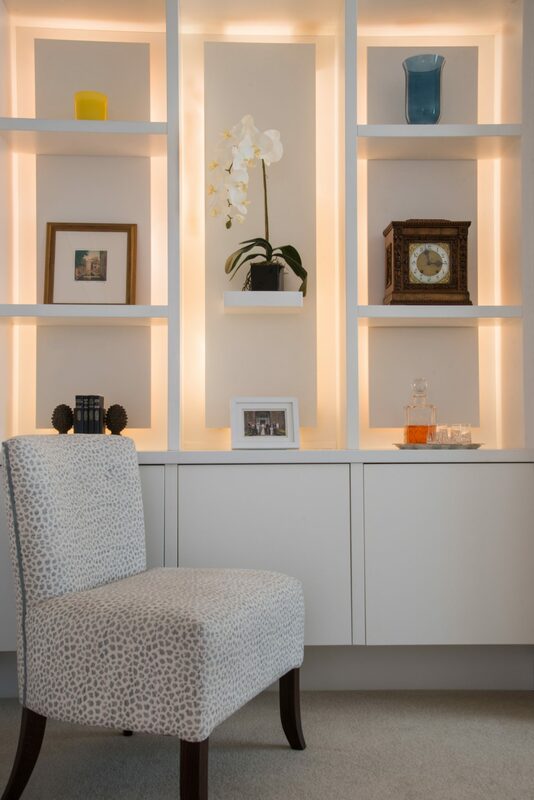 The top section of the cabinetry is backlit to give a soft atmospheric glow in the evening. 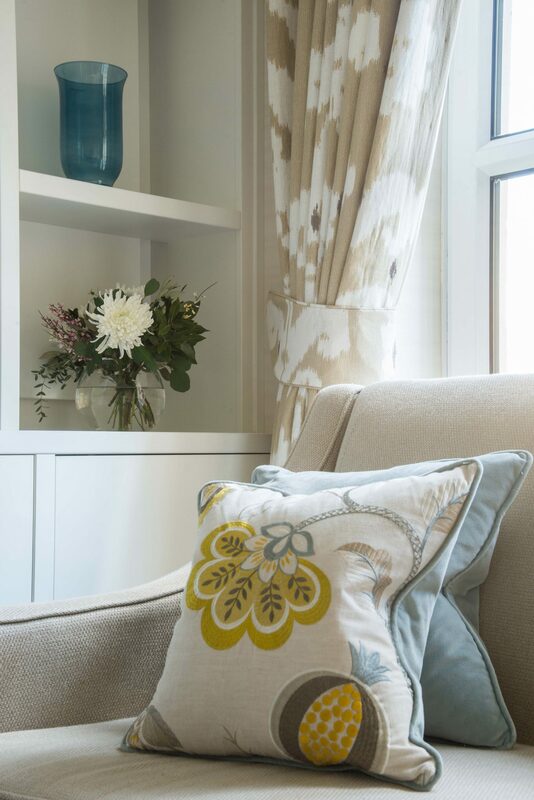 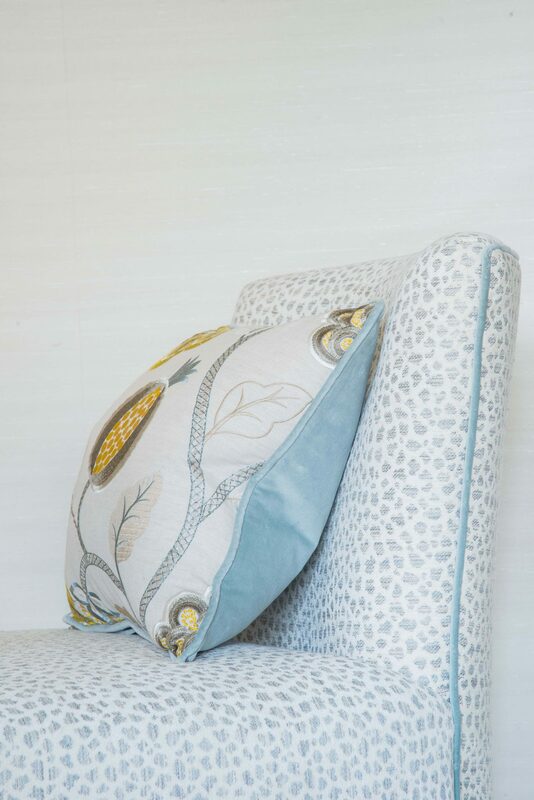 Hand made interlined curtains, bespoke velvet and embroidered cushions, bespoke sofas and an individual chair in a soft blue leopard print completes the look.